Making England, 796–1042 explores the creation and establishment of the kingdom of England and the significant changes that led to it becoming one of the most successful and sophisticated political structures in the western world by the middle of the eleventh century. At the end of the eighth century when King Offa of Mercia died, England was a long way from being a single kingdom ruled by a single king. This book examines how and why the kingdom of England formed in the way it did and charts the growth of royal power over the following two and a half centuries. Key political and military events are introduced alongside developments within government, the law, the church and wider social and economic changes to provide a detailed picture of England throughout this period. This is also set against a wider European context to demonstrate the influence of external forces on England’s development. With a focus on England’s rulers and elites, Making England, 796–1042 uncovers the type of kingdom England was and analyses its strengths and weaknesses as well as the emerging concept of a specifically English nation. Arranged both chronologically and thematically, and containing a selection of maps and genealogies, it is the ideal introducion to this subject for students of medieval history and of medieval England in particular. 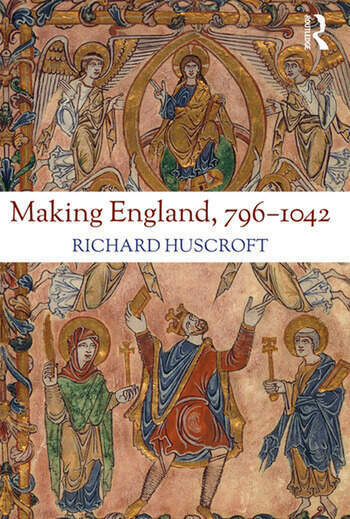 Richard Huscroft is Head of History at Westminster School, London, and is the author of several books on medieval history, including Ruling England, 1042-1217 (2016), and Tales from the Long Twelfth Century (2016).